I found this rock on the beach in Long Island and wondering if anyone knew by the picture what type of minerals are in this rock. I made a few Cabochons with it and they came out nice. I believe they are breccias or conglomerate type of rock. I think the common name is Pudding Stone... It is as mentioned a conglomerate. Interesting looking cabs. Never thought a conglomerate would take a polish like that. I didn't t think they would either! After I sliced it open an saw what it looked like I had to make something from them. I still have a few rough pieces left. Thanks for the replies everyone! 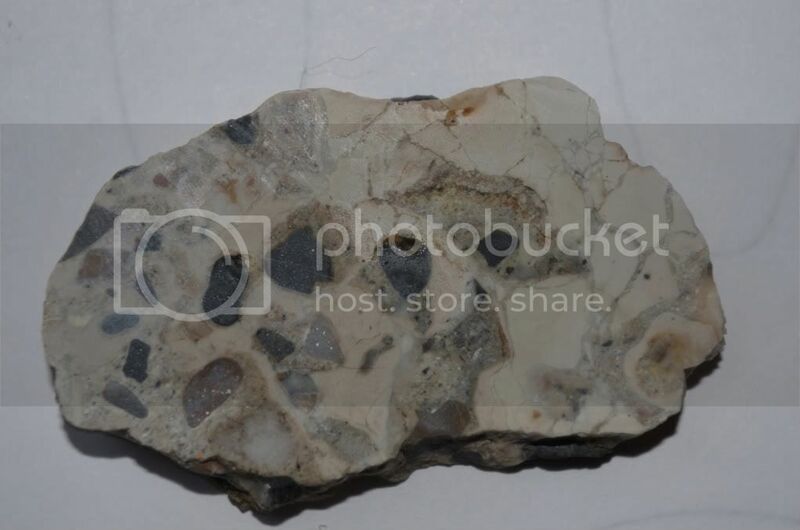 Puddingstone, or Pudding stone, is a conglomerate rock made up of a mixture of different, irregular sized grains and pebbles held together by a finer matrix, usually formed from quartz sand. The sedimentary rock is formed in river channels and may contain various minerals such as chromite, corundum, platinum, diamonds, gold, sapphire, and zircon. Its name is said to derive from a resemblance to Christmas pudding. * Bearfort Mountain. Boonton, Rockaway Township puddingstone, is a purple puddingstone found in northern New Jersey. 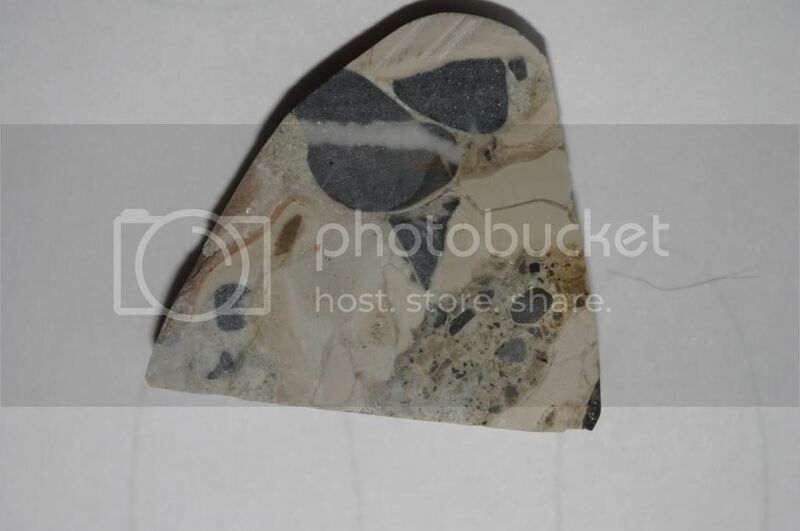 Geologically, it is formed of Paleozoic sandstone and quartz conglomerate. The puddingstone Schunemunk conglomerate is studded with pebbles of pink sandstone and white quartz. 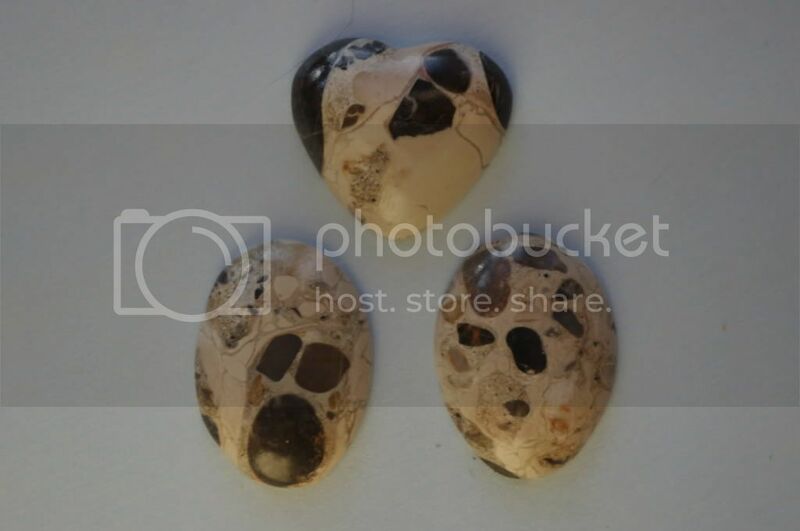 * St. Joseph Island puddingstone, found in the St. Mary's River area of Northern Ontario contains red and brown pieces of jasper, a kind of quartz. Never even heard of pudding stone before . Thanks for the information.